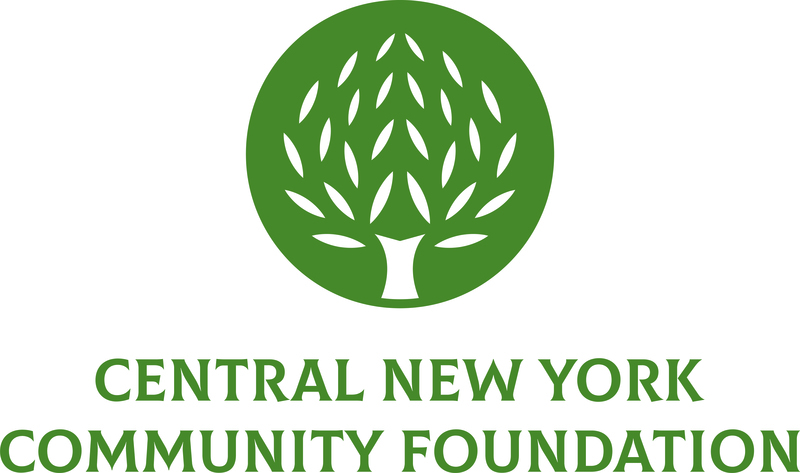 December 5, 2014 (Cayuga, NY) – The Cayuga Community Fund, a component fund of the Central New York Community Foundation, awarded $32,810 to 13 nonprofit organizations that serve residents of Cayuga County. East Hill Family Medical received $3,000 to help purchase a digital panographic x-ray machine for its dental department, which serves low-income, medically under-served individuals and families. Muscular Dystrophy Association received $800 to pay tuition for one Cayuga County child to attend its annual summer camp. St. Alphonsus Food Pantry received $5,000 to assist with purchasing annual Thanksgiving baskets for the food insecure in Auburn and Cayuga County. Wells College received $5,000 to support a weekly Farmers Market in the Village of Aurora. Westminster Manor received $2,500 to purchase new nurse call/intercom systems. Schweinfurth Memorial Art Center received $2,354 to purchase kiln equipment for its clay studio. National Alliance on Mental Illness of Cayuga County received $718 to purchase 48 mental health first aid manuals to use for its Mental Health First Aid Program which educates community leaders on how to eradicate the discrimination of mental illness. Freedom Recreational Services for Youth with Disabilities received $2,500 to upgrade its computer equipment and software in order to create a website resource for the families it serves. Literacy Volunteers of Cayuga County received $2,200 to purchase books, supplies and materials to meet New York State requirements on tutor training and HS equivalency. Seymour Public Library District received $3,400 to help create a “senior space” within the library to offer a comfortable reading area with an enhanced collection of books and resources of interest to people age 60 and older. Audubon New York received $2,516 to support the Montezuma Alliance for the Restoration of Species and Habitats (MARSH) program that will engage Cayuga County community members with the habitat restoration work at the Seneca River and Howland’s Island through stewardship activities. Unity House of Cayuga County received $2,100 to purchase desktop computers for administrative staff. Learning Disabilities Association of CNY received $722 to support tutoring and coaching services for Cayuga County middle and high school students with learning disabilities and/or Attention Deficit Hyperactivity Disorder. These grants were made possible with support from the Cayuga Community Fund, the Cayuga Health Association Fund and the Dr. Henry Romano Fund for Children. The Cayuga Community Fund, created in 2008, is a geographically specific fund created to serve as a source of permanent charitable dollars available to nonprofits serving residents of Cayuga County. Grants are awarded from the endowment fund annually to aid vital programs in education, health, social services, the arts, civic and environmental concerns, as well as the preservation of historic resources in Cayuga County. The Cayuga Community Fund has granted more than $140,000 to nonprofit groups since 2010.